The purpose of this page is to help Chikesia Clemons fight justice against the Waffle House and Saraland Al police department.Chikesia was Assuallted by police! Including slammed to the ground l, disrobed, choked, and has criminal charges pending against her! 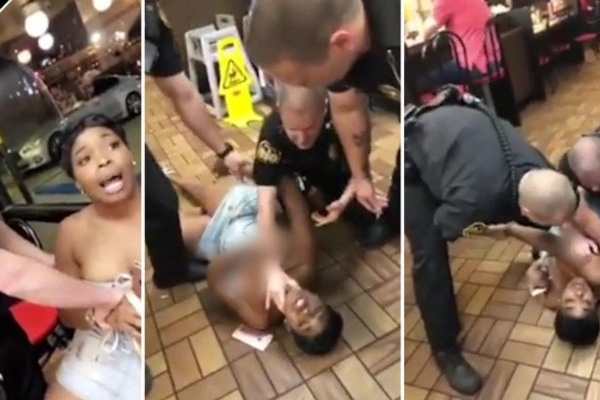 The Waffle House and Saraland Police department has teamed against her to discredit her! She is fighting back for her respect and dignity! on Monday July 23, Saraland,Al teamed up with Saraland to force a guilty verdict on Chikesia. Sentencing her to fines, court costs, 10 days jail time and 1 year probation! Even though the evidence and statements from 3 witnesses indicated that Chikesia was innocent , they had pre sentenced her before court! We are filing an appeal and hope to get help from support to enforce this appeal immediately!